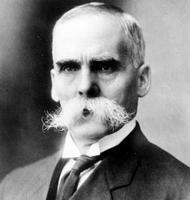 FLEMING, Sir SANDFORD, surveyor, draftsman, engineer, office holder, and college chancellor; b. 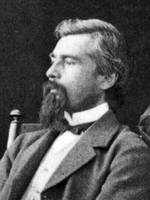 7 Jan. 1827 in Kirkcaldy, Scotland, son of Andrew Greig Fleming, a carpenter, and Elizabeth Arnot; brother of John Arnot Fleming*; m. 3 Jan. 1855 Ann Jane (Jean) Hall (d. 1888) in Peterborough, Upper Canada, and they had five sons and four daughters; d. 22 July 1915 in Halifax. 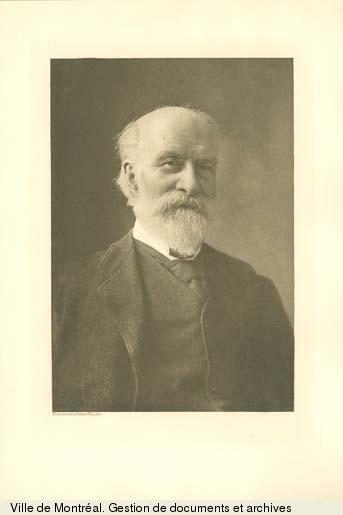 Educated first in Kennoway and Kirkcaldy, at age 14 Sandford Fleming became a pupil of the Scottish engineer and surveyor John Sang. In 1845, with his brother David and a cousin, Henry Fleming, he immigrated to Upper Canada, settling initially in Peterborough, where he secured employment with surveyor Richard Birdsall*. He later contracted with John Stoughton Dennis*, a surveyor in Weston (Toronto), in order to be recertified, as required under Canadian law. To generate income before his certification as a surveyor in 1849, Fleming prepared maps of Peterborough, Hamilton, Cobourg, and Toronto. The last, made jointly with Dennis, was published by Hugh Scobie*’s firm in 1851, the same year that the highly talented Fleming designed Canada’s first postage stamp, which would do much to publicize the beaver as a distinctly Canadian emblem. 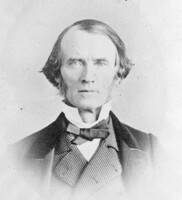 In June 1849 Fleming had participated with Kivas Tully*, Frederic William Cumberland*, and others in the founding in Toronto of the Canadian Institute, an early professional society of architects, surveyors, and engineers. When it failed to become a professional organization, he helped convert it into a broad-based scientific society. He served it in various capacities until he left Toronto in 1864; in 1879 he would be reinstated as a member by Daniel Wilson*, who was to become a staunch ally in advocating standard time. Fleming was also the prime mover in 1852 behind the institute’s Canadian Journal. 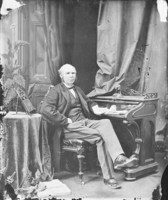 In 1852 Fleming became an assistant engineer, under Cumberland, on the Ontario, Simcoe and Huron Union Rail-road (later the Northern Railway), which was being built from Toronto to Georgian Bay. The relationship between the two engineers was far from smooth. Cumberland’s talents occasionally took him into activities far removed from the railway and he sometimes involved Fleming. Fired by Cumberland in 1855, Fleming took the matter to the railway’s board. In the event, he replaced Cumberland that year on the condition that he devote all his time to the railway. 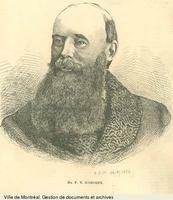 In 1862 Cumberland, then on the Northern’s board, eased Fleming out. In a bitter dispute between the two during 1863–66 over pay, Fleming lost. Both men had oversized egos, but Cumberland took the prize. Though committed to the Northern, Fleming had the board’s permission to become involved in other projects. In 1858 the design for Toronto’s Palace of Industry by Fleming and Collingwood Schreiber, then in private practice together, amply demonstrated their proficiency in the new technology of iron construction. 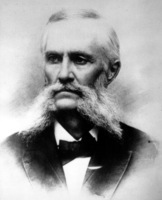 Devoted from at least 1858 to the prospect of western expansion and a transcontinental railway, in 1862 Fleming placed before the government the first thoroughly thought-out plan for building a Pacific railway. 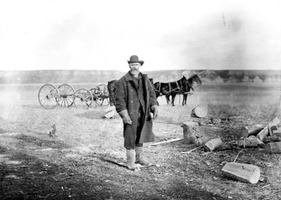 In the winter of 1862–63 he promoted a railway to the Red River settlement (Man.). He travelled to Britain in May 1863 to try, without success, to interest the imperial government in the project. 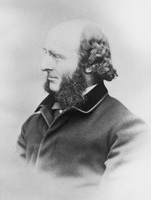 Fleming’s return coincided with the need to resolve the more pressing problem of rail links between Canada and the Maritime colonies. By 1863 the American Civil War had brought colonial security and the intercolonial railway project to the fore, and it would soon become a sine qua non of confederation. In 1863 Fleming, as a result of his intense lobbying, was the unanimous choice of the colonial governments as well as of the Colonial Office for the post of chief surveyor. Four years later the new dominion government appointed him engineer-in-chief of the Intercolonial Railway, a position he would hold until 1876. A vigorous outdoorsman who enjoyed surveys, he conducted them with care and a zest for exploration. He organized the Intercolonial survey forces, approved contracts for construction, and, prior to confederation, even carried out the building himself of a line for Nova Scotia [see Sir Charles Tupper]. 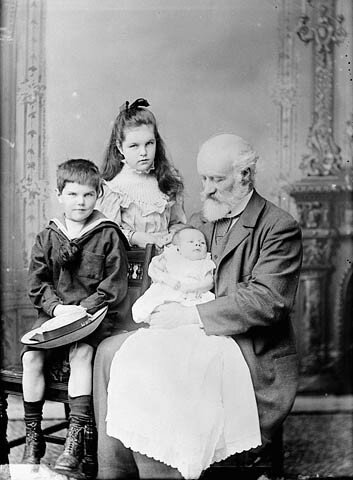 In 1864 Fleming had brought his family from Toronto to Halifax. 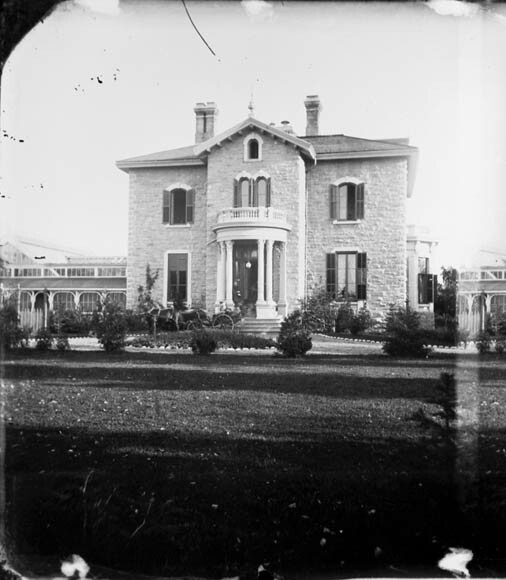 To deal more closely with the federal government, in 1869 he moved to Ottawa, where he bought the residence of George-Édouard Desbarats*; he later named it Winterholme. As his practice took him between Ottawa and the Maritimes, he also bought a summer home in Halifax, the Lodge, which he first used in 1874. 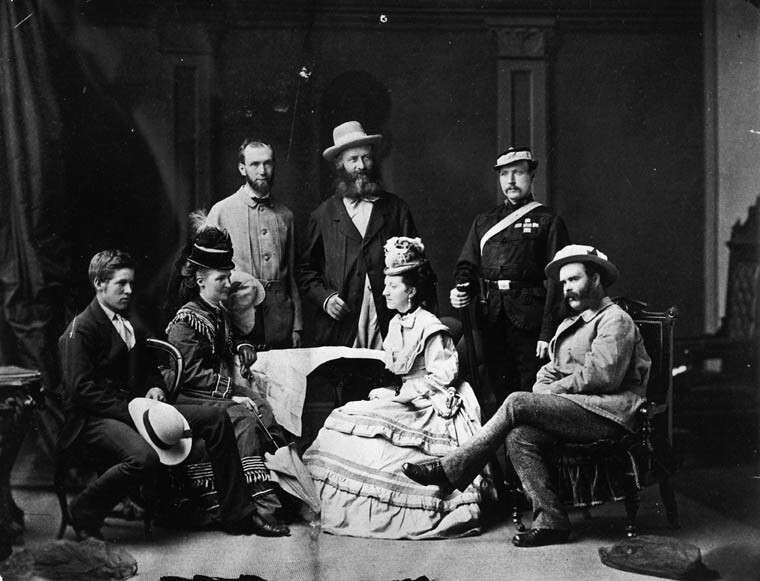 When the construction of the Intercolonial became a federal project, a board of railway commissioners was appointed in 1868 to oversee the work. In disputes with it, Fleming appealed to Ottawa, which usually decided in his favour. A prime case was the construction of bridges, several of them technically challenging. Fleming wished to use stone and iron, while the commissioners, trained to turn a profit, preferred timber. His view prevailed and his structures lasted, not only because of superior materials but also because of the engineering techniques he pioneered, in soil sampling and the prestressing of piers. 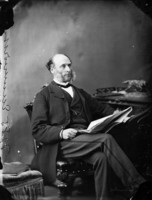 In 1874, after Alexander Mackenzie* had become minister of public works as well as prime minister, he disbanded the railway commission and appointed a former member, Charles John Brydges*, general superintendent of government railways. The tug of war that had developed between him and Fleming continued: Brydges ran the existing railways and oversaw ongoing contracts, but the engineering work remained Fleming’s responsibility. Fleming’s final report to the minister of public works, published in 1876 as The Intercolonial . . . (Montreal), is a classic statement of the complex issues surrounding, and the technical methods used to accomplish, one objective of confederation. 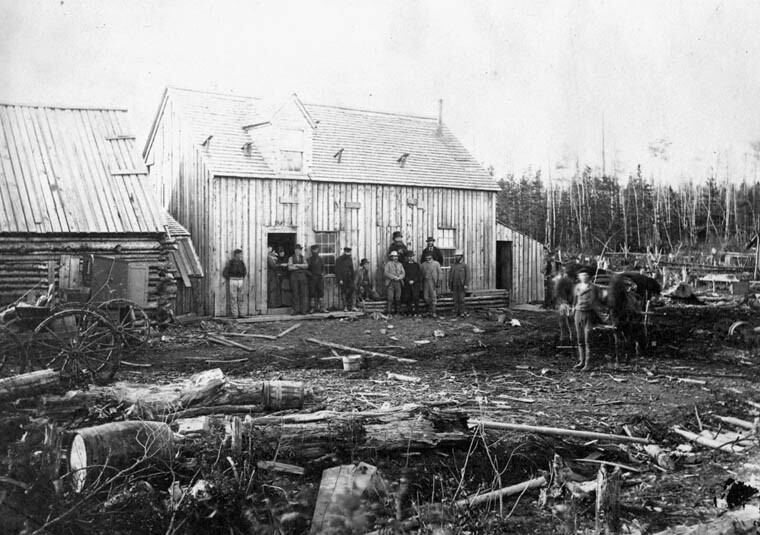 The strategy of railway building was also employed to bring British Columbia into confederation in 1871, on the promise of a transcontinental. 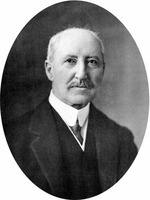 After hesitating because of the burden of his duties on the Intercolonial, Fleming accepted that year the position of chief engineer of the Pacific railway. Thinking it best to examine the possible route firsthand, he set off the next summer with a small party that included his son Frank Andrew and a friend from Halifax, the Reverend George Monro Grant*. Grant’s record of the adventure, published as Ocean to ocean . . . (Toronto and London, 1873), not only became a best seller, it also helped prepare the ground for public acceptance of the projected railway. 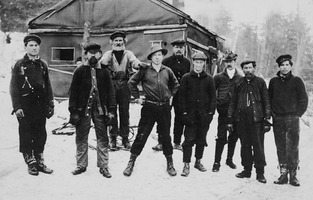 Fleming subsequently organized the immense tasks of doing detailed surveys of the several proposed routes and of early construction; he himself took part in surveys when he could. 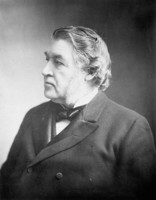 In May 1880, however, he was summarily dismissed by Sir Charles Tupper, the minister of railways and canals, because he had become a political liability through his independent and outspoken stance on the Pacific project. (Collingwood Schreiber, his colleague and pliant second in command, replaced him the following month.) In return, Tupper, a close friend, granted Fleming a retirement payment of $30,000 and the promise, later revoked, of a monopoly on the Pacific cable project that Fleming had started to promote. 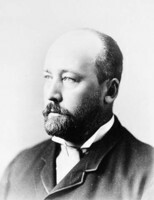 Fleming’s dismissal only temporarily halted his impact on the Canadian Pacific Railway, even after it was taken over by a private syndicate in 1880. 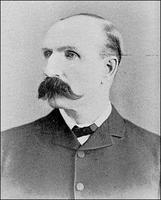 He bought shares in the Hudson’s Bay Company, and in November 1881 he was appointed resident Canadian director. 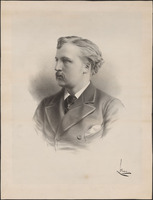 Two years later he applied to become a director of the CPR; in May 1884 he was confirmed. 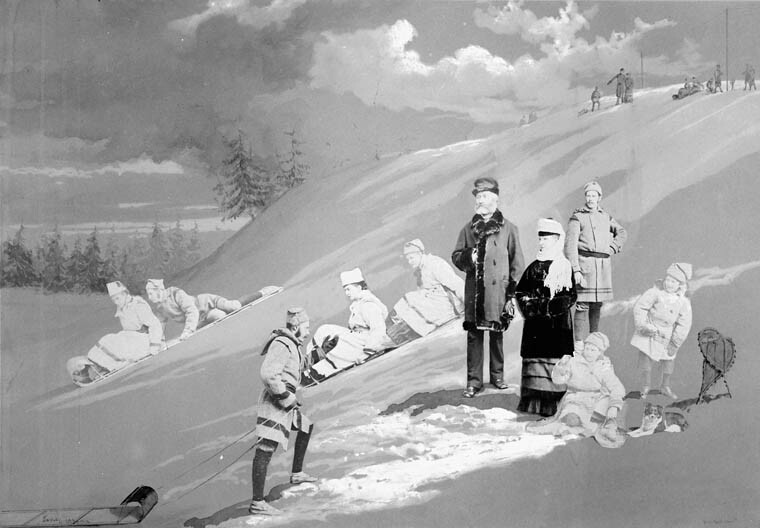 At the request of its president, George Stephen*, in 1883 Fleming, accompanied by George Grant, had travelled to the Rockies and British Columbia again, to establish a usable pass through the Selkirks. The following year Fleming and Donald Alexander Smith, a key figure in both the HBC and the CPR syndicate, formed a Canadian subcommittee of the HBC to examine company land matters, often in relation to the railway’s interests. In that most famous of Canadian photographs, Smith driving the last spike in November 1885, the towering central figure with the top hat and broad beard is Fleming. He had every right to hold centre stage. Throughout the decade, in addition to keeping his lucrative directorships, Fleming remained professionally active. In November 1885, for instance, he and Robert Gillespie Reid* received the contract for the stonework and piers for the CPR’s Lachine Bridge near Montreal. Side by side with steel rails went telegraph poles. Steam and electricity, Fleming maintained, were the “twin agencies of civilization.” But only on land: at sea there was no such natural combination, and an underwater cable was a much more expensive undertaking. 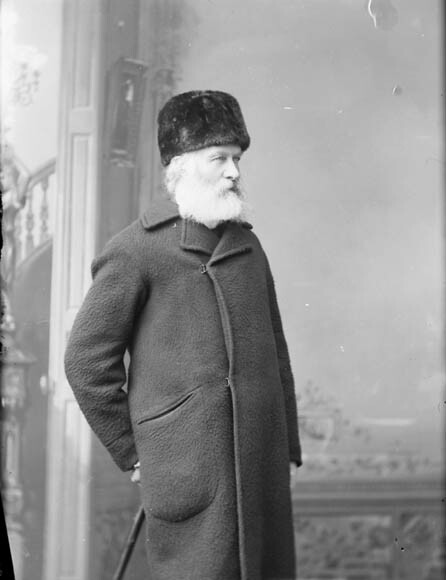 In 1879, in a letter to Frederic Newton Gisborne*, then superintendent of the dominion telegraph and signal service, Fleming broached the idea of linking the trans-Canada telegraph system with a cable across the Pacific. When such a project failed to materialize under free enterprise, he sent an unremitting barrage of memoranda to Ottawa and, via periodic colonial conferences, to London until an imperial cable committee was appointed to steer the project. Opposition from the established private interests that controlled the Atlantic cable was intense. But by mid 1899 it was clear that the proposal would work because the governments of Australia, Canada, and New Zealand were prepared to support it even if London turned it down. A cable from Vancouver to New Zealand and Australia was completed in 1902. 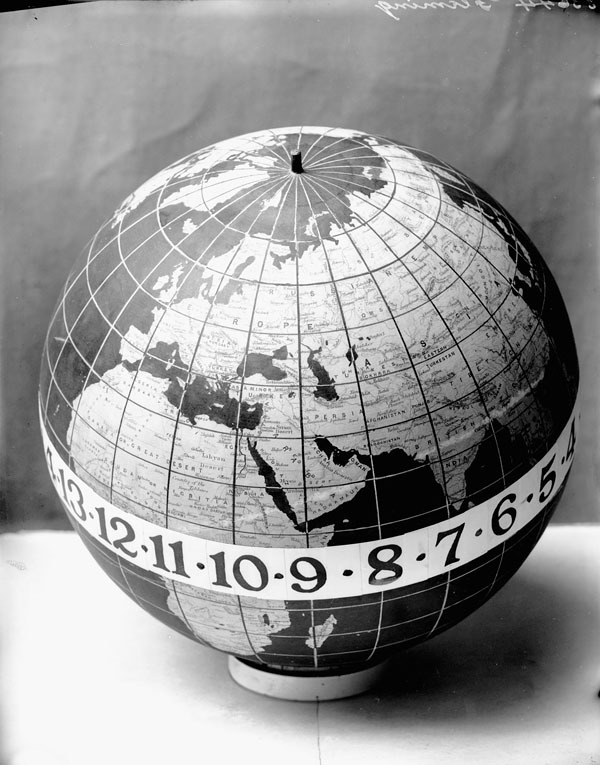 Fleming’s travels had exposed him to the prevailing confusion in the measurement of time in both North America and Europe. The practice of keeping local time was universal, except in Britain, where the extensive development of railways had led to the adoption of a system of standard time. As the rail network developed in North America, the problems of scheduling and keeping track of trains multiplied, but attempts at reform failed because they were not comprehensive. In 1879 two reports, each prepared independently of the other, took a global approach to the problem and each received wide circulation. 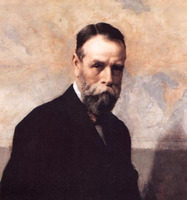 One author was Fleming; the other was Cleveland Abbe, chief of the United States Weather Service. Fleming’s report, read initially before the Canadian Institute, was sent to Governor General Lord Lorne [Campbell], who forwarded it to the Colonial Office with his full support. Abbe’s report was presented to the American Metrological Society, which sought to standardize the measurement of time and whose senior members were Frederick Augustus Porter Barnard of Columbia College in New York City and Thomas Egleston of its School of Mines. The two schemes were so similar that the authors joined to form a powerful lobby with the support of Egleston and Barnard, who had strong ties to Washington and international scientific leaders. Together they took every opportunity to promote the case for time standards. For Fleming the chief vehicle became the American Society of Civil Engineers, which was dominated by railwaymen. It made him chairman of its standing committee on time in 1881 and turned him loose; he carried out a survey of railwaymen and scientists about his proposals, using the offices of the society but paying the costs himself. He planned to use the data to petition Congress to convene a conference, but the railway managers decided to act at once since his data had demonstrated a clear consensus. On 18 Nov. 1883 the railways of North America adopted the system of one-hour time zones that remains in force today. Because of its simplicity, railway time soon became the standard for the continent. But the need remained for global uniformity. The key players of the metrological society and the ASCE were successful in getting Congress to call an international gathering in 1884 to decide on the core question: where the prime meridian would be. Grudgingly included in the British delegation, Fleming was the only delegate to distribute a position paper. The conference eventually endorsed his main points, but each country was to make its own decision on adoption. A mean time based on an existing prime meridian through Greenwich (London), England, with hourly variations according to established time zones, became standard before the end of the century in most major countries. Fleming’s lifelong faith in knowledge was a Presbyterian heritage. Allied to it was a commitment to professional service, and the two interests found an outlet in higher education. 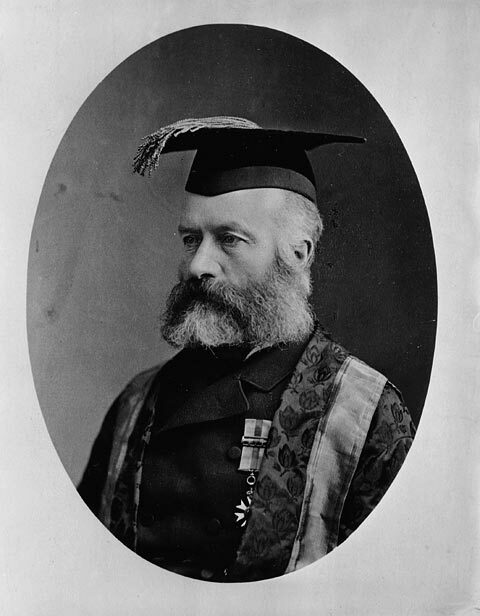 His real opportunity to influence education came when he was drafted in December 1879 as chancellor of Queen’s College at Kingston, where his kindred friend George Grant was principal. Fleming’s inaugural address in 1880 made a powerful case for putting science at the centre of university education. 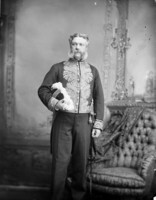 More than a figurehead, he worked closely with Grant in negotiating provincial support. The School of Mining and Agriculture was subsequently established at Queen’s in 1893 and the following year approval was given for a faculty of applied science under Nathan Fellowes Dupuis. 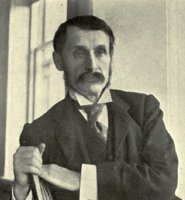 After Grant died in 1902, another of his struggles, to sever the denominational connection between Queen’s and the Presbyterian Church, was continued by others, Fleming among them. This campaign was ultimately successful and Queen’s was established as a secular university with a strong base in science and engineering before Fleming died, still chancellor, in 1915. 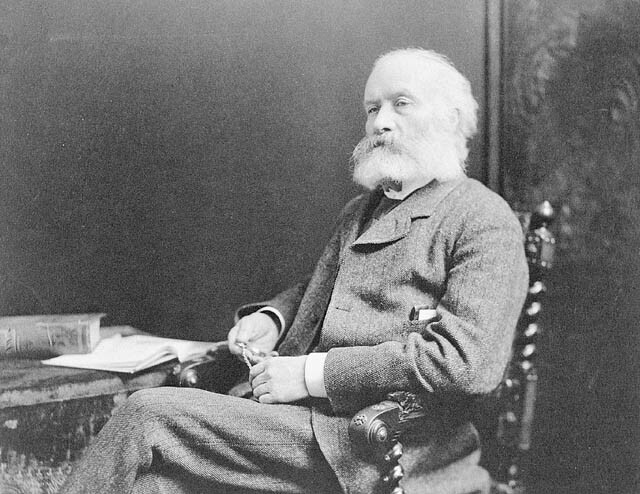 Sandford Fleming’s strength lay in his systematic use of institutions for his causes. 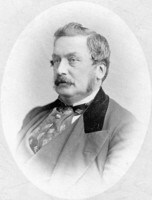 In Britain the Institution of Civil Engineers of Great Britain, to which he was elected in 1871, and the Royal Colonial Institute helped promote his railway and cable interests, respectively. In Canada the Canadian Institute was a long-time means of advancing his engineering and scientific interests in matters as diverse as Toronto Harbour (1850–55) and standard time (1879–89). When the Royal Society of Canada was formed in 1882 – Fleming was a charter-member and its president in 1888–89 – it was used in similar fashion. In the United States his main base of operation was the ASCE, in which he was active from 1872 to 1899, when he signed off as chairman of its committee on time. In addition to these and other learned bodies, he was at home in Empire clubs, boards of trade (Ottawa and Halifax), and colonial conferences. He was showered with honours in his lifetime. 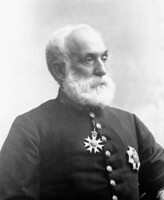 Appointed a cmg in 1877, he was promoted to a knighthood in 1897. 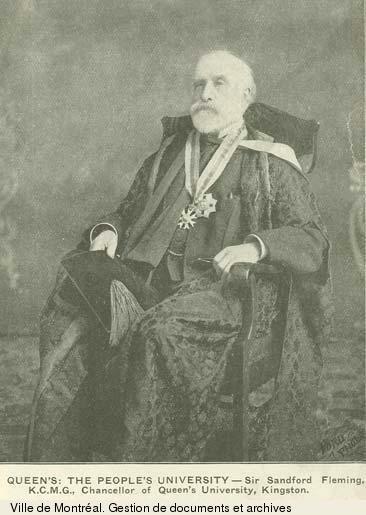 He was awarded honorary doctorates by the University of St Andrews in Scotland (1884), Columbia (1887), the University of Toronto (1907), and Queen’s (1908). Membership in such bodies as the Royal Society of Canada was an honour in itself. 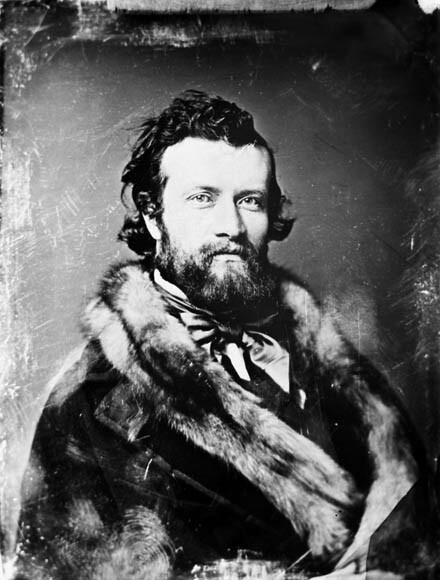 No organization pleased him so much, however, as the short-lived Alpine Club of Canada, which he and George Grant founded with a flourish in 1883, during their second expedition across the Rockies. Though Fleming was not a career politician, much of his activity had political consequences. 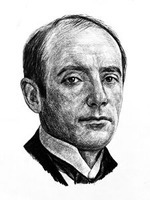 Technology was his domain, and it was through technology that he reached for national and international goals: railway building as a way of uniting the provinces of British North America, professional development in engineering, a telegraph encircling the globe on British territory, and the universal measurement of time. He is usually classified as an engineer or a businessman, but the word that captures his lifetime effort is promoter. He died in 1915 at the home of his daughter in Halifax. Buried in Beechwood Cemetery in Ottawa, he was survived by three sons and two daughters. [There are five public collections of Fleming’s papers: in NA, MG 29, B1; AO, F 711; PANS, RG 28, sect.4, vol.9; QUA; and MTRL, SC. An extensive listing of his publications appears in the biography by Lawrence Johnston Burpee*, cited below. Full bibliographic details, and a few additional items, are provided in Science and technology biblio. (Richardson and MacDonald) and in CIHM, Reg. L. J. Burpee, Sandford Fleming: empire builder (London, 1915), was the first full biographical treatment of Fleming; commissioned and vetted by Fleming himself, it is written in the laudatory and anecdotal style common at the time. 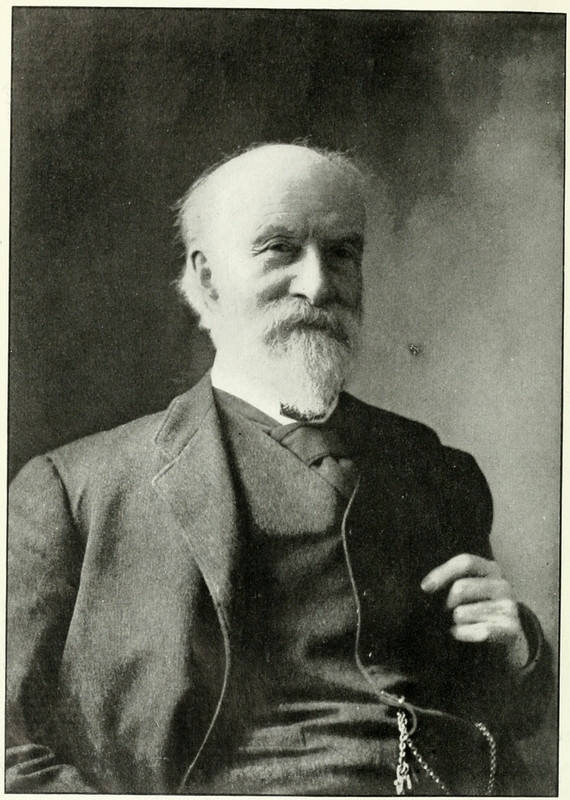 Lorne Green, Chief engineer: life of a nation-builder – Sandford Fleming (Toronto, 1993), while adding some new material, does not overcome the defects of its predecessor. Fleming has not been well served by historians. Mario Creet, “FLEMING, Sir SANDFORD,” in Dictionary of Canadian Biography, vol. 14, University of Toronto/Université Laval, 2003–, accessed April 24, 2019, http://www.biographi.ca/en/bio/fleming_sandford_14E.html.